At 24 years old, I was thrown into real adulthood when I found out I was pregnant, without intending to be. I immediately loved the little peanut I had growing inside me, but it was nothing compared to the moment I got to hold her, on the outside, on December 5, 2010. At 10 months old, Lilee-Jean was diagnosed with stage 4 brain cancer with a less than 10% chance of survival. During our journey through pediatric cancer, the love that Lil evoked in the hearts of thousands became the stepping stone for me to nourish my love of writing. I started writing a blog to share our journey and to say thank you to all the people who were making it possible for both her dad and myself to stay by her side. Now, with The Chelsey Diaries, it has continued into the reality of the life of a bereaved parent, while I (slowly but surely) write our memoir/autobiography. I created The Ordinary Girl, a magical and lyrical adventure, as a Christmas gift to my family, filled with all of her favourite things, inside jokes and the love she knew surrounded her, knowing that my new nephew (and all the little ones to come) would never get to know my sweet girl. I couldn’t think of a better way to help my growing family get to know Lilee-Jean, than tales of her many magical, inspiring and extraordinary adventures. 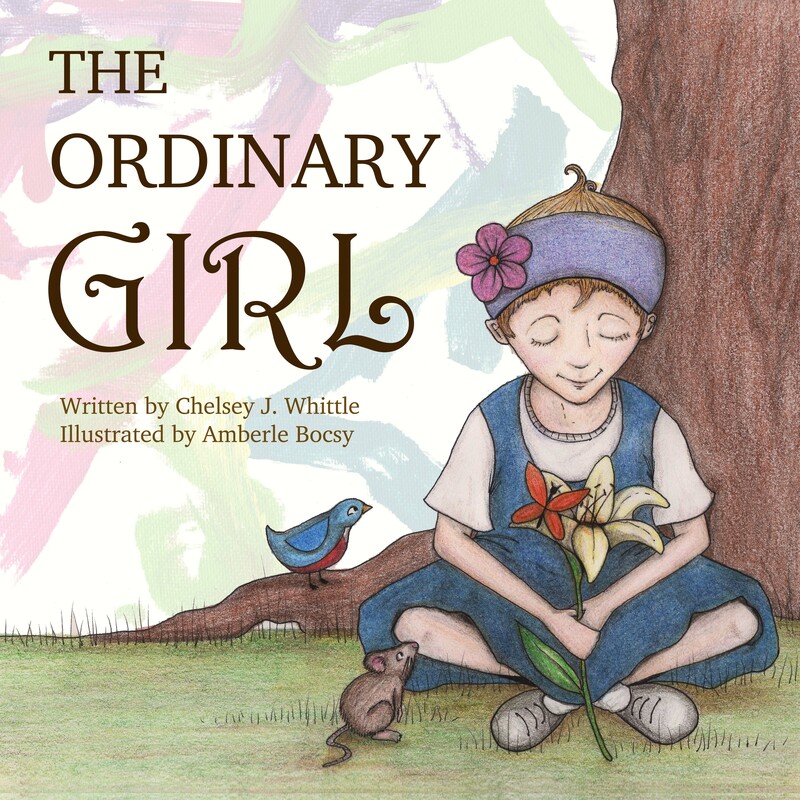 After many a few revisions and the classically inspired hand drawn creations (and editing, brainstorming, encouragement and all round love) of my talented and dear friend Amberle, I have decided to introduce The Ordinary Girl to all of you. *** Order between November 16, 2017 and December 10, 2017 and you will get a personalized and SIGNED copy. $20.00 (+ S&H). email me @ thechelseydiariesxo@gmail.com to place your order! Purchase The Ordinary Girl Here!